Happiness is the only thing that you need in this life. However, it seems so hard to feel. There are lots of struggles and challenges from where you are. You need an adventure that can lead you to where the happiness is. This adventure might be hard but there are people that can help you along the way. You just have to interact with them with a chance to get some clues. You can also get clues from the places where you'll go. But for you to see those, you have to be mindful of the surroundings. There are also items in there that can help you to complete the adventure quickly. This would be the greatest adventure of your life so you have to do well. But you should not worry too much because happiness is waiting for you at the end. The only thing that you need to do is to use your logic. Without it, you can't make it through this adventure. So, you have to think hard for the every puzzle that you will encounter along the way. 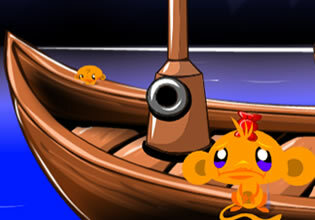 Monkey Go Happy – Stage 237 is a brand new adventure game by Pencil Kids that will test your logic. Best of luck!